Pilates is a system of strengthening movements that when practiced regularly and with proper instruction can transform your body. Each position strengthens and stabilises, working from your deep core muscles through to the surface. This inside out approach means the benefits are far more than a toned tummy. 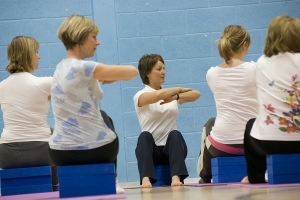 Angela offers a range of Pilates classes from beginner to intermediate levels and one to one sessions. 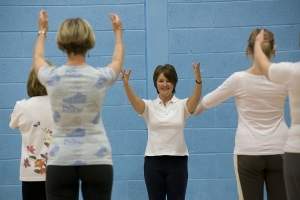 Angela a trained Physiotherapist will adapt the exercises in the class to suit your individual needs. In this class there will be the opportunity to work at different levels depending on your ability. This is a private session. It will give you a greater understanding of how your body works and will allow you to feel the benefits of Pilates quicker than in a class setting. Angela will plan individual exercises/rehabilitation programs specific to your needs. Certain activities/posture types can create a muscle imbalance. This means that over time certain muscles may become overactive and tight and cause other muscles to weaken, which can create pain. An assessment of your specific strengths and weaknesses can allow Angela to tailor your exercise programme specific to your needs.